Let Imagine Audio Video help design and install the right system for your office. Imagine Audio Video will provide the proper wiring and alarm system to meet your business requirements. At work or away, you can monitor your workplace with the use of surveillance cameras. Technology also allows you to view your workplace via the internet, iPad or mobile device . You can also record to a digital video recorder (DVR) for timely access. With the Wirepath surveillance and smartphone apps you can take control of your surveillance system. From anywhere, weather you want to view multiple cameras or a single camera, just click or swipe views. 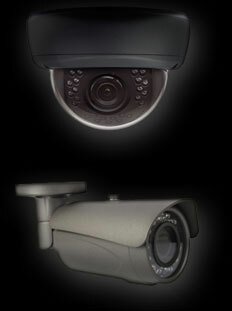 Our advanced DVR recording system allows you to search by time, motion or alarm event. Since you can control your streaming resolution, you can get crisp clear HD images through WiFi without eating up your data plan. Call Imagine Audio Video at (480) 497-6734 to learn more about this easy to use and powerful Security and Surveillance solution and get a product demonstration.